From spending time with coworkers to catching up with old college friends, there is almost nothing better than setting aside a night with friends. But, where should you go? There are plenty of places in Beaumont to meet up for a fun and affordable happy hour! And we aren’t just talking drinks… many of these places serve tasty appetizers and small plates to satisfy any craving you might have. BarLocal, located in the Colonnade Shopping Center in Beaumont, is where you&apos;ll find good drinks and a good time. This is a great place to meet friends for happy hour and play some of your favorite games like beer pong, Golden Tee and various other arcade games! The outside patio has a full service bar with weekly drink specials on tap. Bar Local is also a popular stop for food trucks in the area. Cafe Del Rio is known for having a lively atmosphere and great authentic Tex-Mex. Sip signature drinks including a Tequila Mockingbird or a Sangria Swirl and enjoy complimentary ice cream on the patio. Happy Hour specials include $3.00 margaritas from 11:00 am - 7:00 pm everyday! 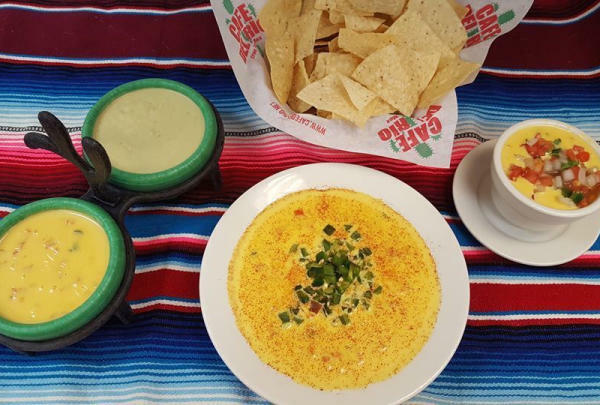 There are several options for Queso dip - a favorite for happy hours and gathering with friends. Carrabba’s is one of the most popular happy hour spots in Beaumont. The bar and lounge area is almost always hopping! There are weekly happy hour specials that include small bites and drinks. One popular special is every Wednesday you can enjoy $10 off any bottle of wine and any pizza for only $9.99. The Grill is an upscale dining space that boasts only the freshest line caught seafood, no hormone, no steroid, free-range beef and a menu that will delight everyone&apos;s taste buds. Happy hour is from 3:00 pm - 7:00 pm Tuesday thru Saturday in the Cabana and on the patio. You can score 50% off cocktails and beer and 25% off wine by the glass or bottle. There is live music on the patio on Thursdays and Saturdays from 6:30 pm - 9:00 pm. Portus Lounge is an upscale lounge with high end liquor and wine options. Every Wednesday night is “Ladies Night” where all ladies get 1/2 off cocktails and with every drink they get a ticket entered into a drawing for a deluxe pedicure from Thairapy Salon & Spa. The Logon Café & Pub has been a staple in the Beaumont scene for years. When it comes to happy hour, there are weekly specials from 3:00 pm - 7:00 pm with a great selection of craft beer and a full bar. The beer on tap is always changing, so stop by to see what new brews may be up for grabs! The food menu features soups, salads and sandwiches. You can expect to hear a blend of local and regional acts as well as experience underground theater. Luke&apos;s Icehouse is located in downtown Beaumont and offers one of the best patios in Southeast Texas. Happy Hour is 11:00 am - 1:00 pm, Monday thru Friday features $2.50 for select beer and $4.50 Bacardi, Jack, El Jimador, Tito’s and Dewar’s. Craft beer, cocktails and a full menu of burgers, sandwiches and more make it a favorite among locals. Fuzzy’s Taco Shop serves fresh, handmade Baja-style Mexican food. This is a great place for happy hour because there is plenty of indoor and outdoor patio seating along with the tastiest Queso around. The atmosphere at Fuzzy’s is bright, fun, and energetic – perfect for gathering with friends and family to watch a game, enjoy a beer or margarita, or just hang out. Madison&apos;s live music and happy hours is a favorite among the locals! There are rotating happy hour items including Wednesday $12.99 steak night and $2 domestic pints and $2 tacos on Thursdays. Other menu options include salads, steaks, fish tacos and more. There is also plenty of room to gather friends to play a game of pool or watch the game. J. Wilson&apos;s is a locally owned neighborhood restaurant that offers fresh, made-from-scratch menu items prepared by chef, Evan Catlett. With 16 craft beers on tap, J. Wilson&apos;s is a great place to meet up with friends after work and unwind. The bar also offers an extensive list of wines, bourbons and craft beers. Brunch and dinner menus consists of burgers, seafood and other cuisine served on cast iron skillets. 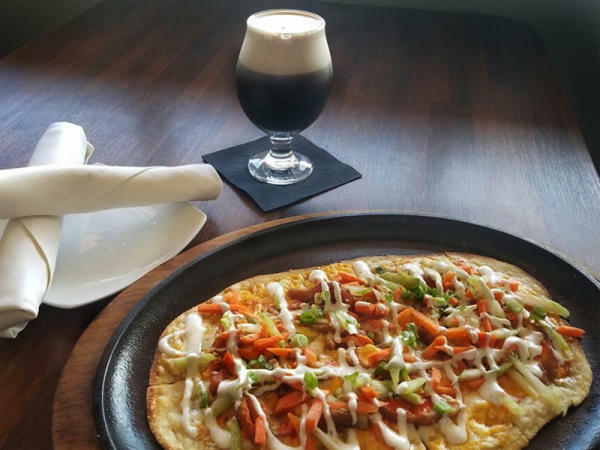 They also switch up the flatbread pizza selections each week! Here’s a happy hour you won’t soon forget! Tokyo offers hand carved steaks and fresh seafood, prepared right at your table by master chefs. Guests can also choose sushi or sashimi from over fifty rolls offered daily. Tokyo features specials by the week and on special holidays. Willy Burger is a retro restaurant that prides itself on fresh hamburgers but it’s also an awesome place to gather with friends! The menu is simple: great burgers, cold draft beer, hand dipped onion rings, yummy fries, New York charbroiled hot dogs & a grilled chicken sandwich. Willy Burger always has happy hour prices with draft beer for $3.95 and wine for $5.50. Patrons can dine in booths, sit at the counter on bar stools, outside in the patio area or if your lucky, sit in the refurbished 1971 Airstream trailer. The West is another popular hang out for happy hour in Beaumont! Monday nights craft beer and appetizers are half off from 5:00 pm - 10:00 pm. On Thursdays you can enjoy Happy Hour game night with Golden tee golf, shuffleboard or washers and $1.50 tacos and tallboy beers. The West also has $5.00 pitchers of beer during games. One part soul food, one part gourmet, Suga&apos;s offers a unique dining experience in downtown Beaumont. The new “Suga’s Patio 461” is a great place to meet friends and coworkers to hangout and unwind. 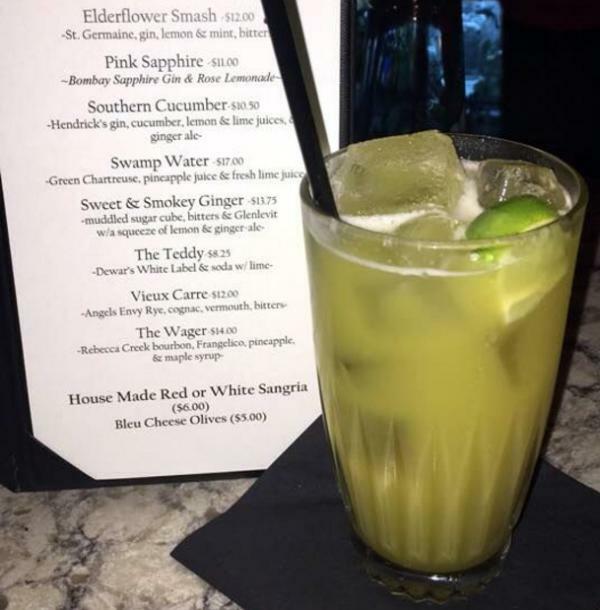 Happy Hour at Suga’s is from 4:00 pm - 7:00 pm Monday - Saturdays, with $2.00 margaritas, domestic beers for $2.50 and well drinks and craft beers for $2.00. Focusing on fresh, seasonal ingredients, Suga&apos;s features elegant offerings including smoked duck in peach brandy glaze. 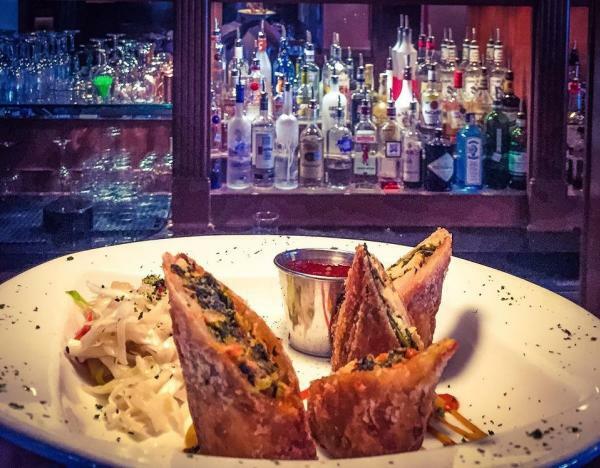 The egg rolls are a popular appetizer selection! You might miss Thirsty’s if you didn’t know it was there. It’s one of those places where everyone knows your name. The popular happy hour and late night hangout is in The Oaks Shopping center and often has live music. Specials include all whiskey for only $4.25 until 11:00 pm! Beaumont’s Heritage Happy Hour is another unique way to get involved with the rich history Beaumont has to offer, with traveling happy hour specials at various historical sights around town. Check out popular porches and patios in the area.